Show your Fighting Irish spirit in this Notre Dame Fighting Irish Long Sleeve 1/4 Zip. This Womens Navy Blue Eclipse CGI Long Sleeve Pullover features a embroidered embellishment. 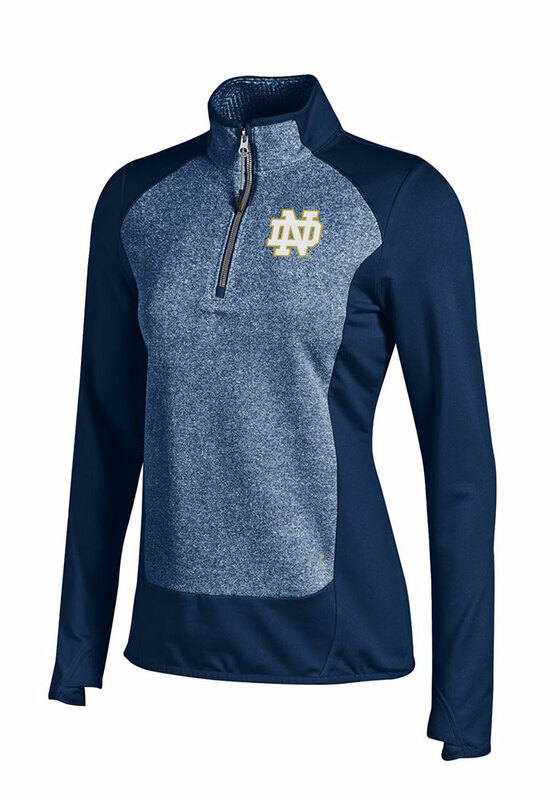 You'll want to wear this Notre Dame Fighting Irish Long Sleeve 1/4 Zip every day. I purchased this 1/4 zip for the cold winter months here in Chicago. This 1/4 zip is so extremely warm and comfortable! It has the thumb holes in the sleeves which is awesome. I sized up because I like to wear a thin shirt underneath. I highly recommend for the perfect ND fan!